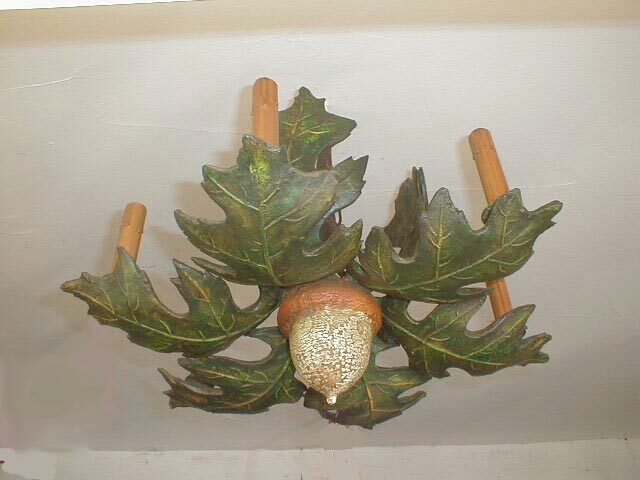 Description: Acorn chandelier with 6 oak leaves holding 6 lights of 60 watts. Resin &steel. Shades extra.